What a slap in the face of taxpayers. The Justice Department has just directed payments be made to ACORN for costs incurred before they were caught trying to help a pimp and a prostitute set up an illegal smuggling operation of 13-year-old-girls brought to the U.S. for prostitution. 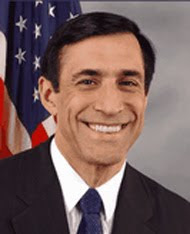 Rep. Darrell Issa (R-CA) is objecting to the DOJ’s decision. Perhaps Congress can get over the turkey and stuffing and do something about the DOJ’s latest in a long list of obscenities. In this piece in the New York Times “reports,” if that’s what we can call it it, that ACORN has become a “target” of “conservative critics.” Obama was forced to sign legislation saying that no taxpayer monies would be provided to ACORN or it’s affiliates. Later in the article, the NYTs explains that the pimp and prostitute sought financial advice, but did not mention that the business involved 13-year-old girls, illegally smuggled for the purpose of prostitution. An attorney for the Housing and Urban Development Department (HUD) queried the DOJ “whether the new law meant that pre-existing contracts with ACORN should be broken.” Since 1994, ACORN has received approximately $53 million of your hard-earned money and mine – most of it in grants from HUD. To be sure, some common definitions of “provide,” such as “supply” or “furnish,” American Heritage Dictionary 1411 (4th ed. 2006), would appear to describe any transfer of funds, presumably including a transfer in satisfaction of an existing obligation. Other definitions, however, connote a discretionary action. For instance, “provide” may mean “contribute,” Webster’s New International Dictionary 1994 (2d ed. 1958), or “make available,” American Heritage Dictionary 1411 (4th ed. 2006), and “offer” is among its synonyms, Roget’s II: The New Thesaurus 780 (3d ed. 1995). And in common parlance, the verb “provide” frequently describes discretionary action taken to benefit another. Moreover, several of the word’s definitions incorporate a forward-looking aspect, see, e.g., Webster’s New International Dictionary 1994 (2d ed. 1958) (“to look out for in advance”; “to prepare”); Black’s Law Dictionary 1224 (6th ed. 1990) (“[t]o make, procure, or furnish for future use, prepare”), consistent with the etymology of “provide,” which derives from the Latin providere, meaning to see before, foresee, or be cautious, 12 Oxford English Dictionary 713 (2d ed. 1989). Definitions of the word “expend,” we note, do not carry a similarly discretionary or forward-looking connotation, in keeping with the etymology of that word, which comes from the Latin expendere, meaning simply to pay or weigh. 5 id. at 561. Reading section 163 to prohibit payments to ACORN or its affiliates, subsidiaries, or allied organizations to satisfy a binding contractual obligation undertaken before enactment of section 163 would “undo a binding governmental contractual promise.” Cherokee Nation, 543 U.S. at 646. In accord with Cherokee Nation, the better reading of the section is therefore that it does not prohibit such payments. This reading of “provided to” is especially appropriate here because, consistent with the canon of constitutional avoidance, see, e.g., Edward J. DeBartolo Corp. v. Fla. Gulf Coast Bldg. & Constr. Trades Council, 483 U.S. 568, 575 (1988), it not only avoids abrogating binding governmental contractual promises but also avoids the particular constitutional concerns that may be presented by reading the statute, which applies to specific named entities, to abrogate such contracts, including even in cases where performance has already been completed but payment has not been rendered. to a bill of attainder. If ACORN can sue the government, then taxpayers surely must sue the government for giving this incredibly corrupt organization funds for all these many years. How long will we let this go on? See a list of Committee on Oversight and Government Reform members here, and call at (202) 225-5051 or the individual offices.